If you like to fall asleep while listening to music, you may appreciate the need for a sleep timer. 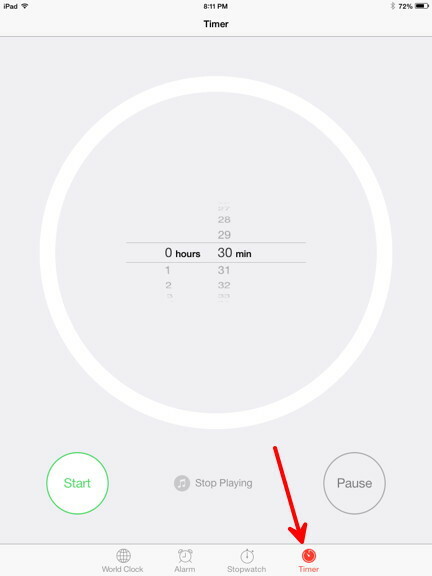 While there are many timer apps in the App Store, the built-in Clock app on the iPhone, iPad, and iPod also has a sleep timer that is very easy to use. To set the sleep timer, open the Clock app and select Timer in the bottom right corner of the screen. 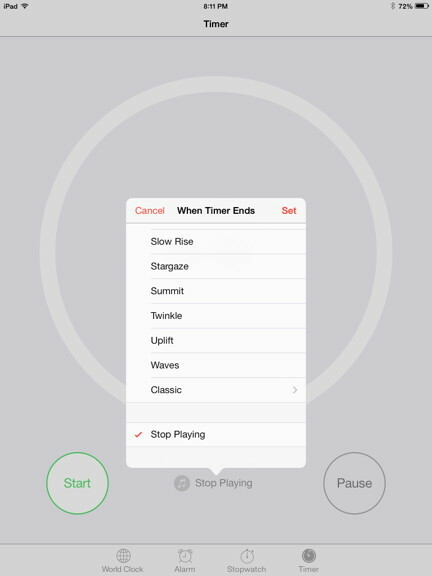 Use the scroll wheels to set the timer for how long you want the music to play. 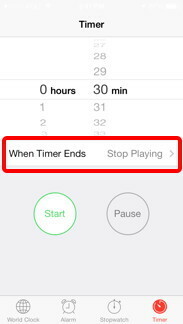 Then, tap the button labeled When Timer Ends. 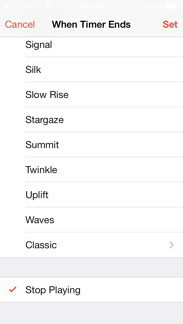 You will see a list of ringtones that can be played. Scroll to the bottom, select Stop Playing, and tap Set in the top right corner of the screen. Once everything is set, tap the Start button to initiate the timer. The sleep timer can be set either before of after you have started playing music. You can close the Clock app and use other apps while the timer is running. It will not affect the timer. 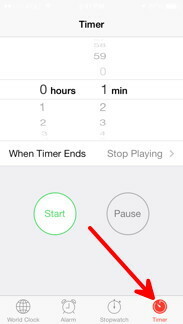 When the timer ends, the music will stop and the iPhone will go to the lock screen. The sleep timer on the iPad has a slightly different setup screen, but it is just as simple as the iPhone. Open the Clock app, tap Timer in the bottom right of the screen. Select the musical note icon located between the Start and Pause buttons and a When Timer Ends list will appear. 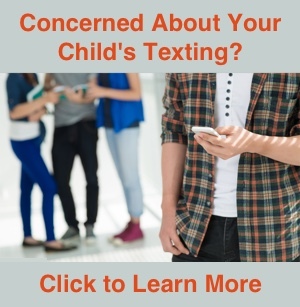 Scroll to the bottom of the list and choose Stop Playing. Tap Set to return to the main screen and select Start to initiate the timer. You can close the smart cover on your iPad or put the screen to sleep without affecting the sleep timer. 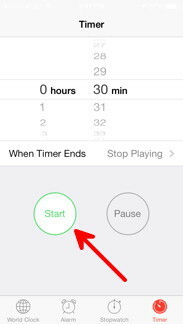 In addition to the Timer function, the Clock app has an Alarm, a Stopwatch, and a World Clock.